Readers, I’m going to let you in on a dark secret about videogame news that you’ve probably already guessed: yes, we spend a fair bit of time browsing Reddit for stories of interest. Over the past few weeks, we’ve noticed something that keeps coming up with surprising regularity. Everyone has a story to share about how their college professor put a gaming question on an exam. Take this League of Legends question, originally noted on Twitter by ClianeWasTaken before getting translated by xpepi on Reddit. “In the popular computer game League of Legends (LoL), the siren champion Nami has the ultimate ability of creating a tsunami. She does so after shaking fiercely her staff of length L, generating a perturbation in the waters around her.” The problem asks students to find out whether Usain Bolt is fast enough to escape from the wave. 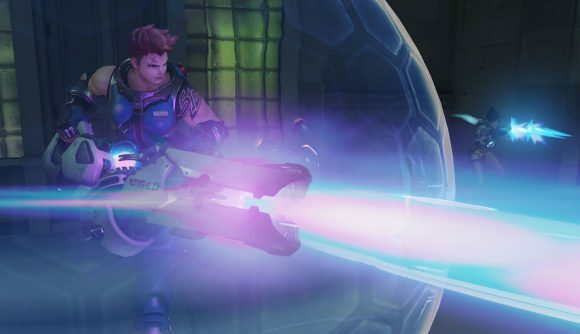 That brought out a similar story on the Overwatch subreddit from noidwasavailable, about a test regarding Zarya’s bubble a few months after the game’s release in 2016. This one wants you to calculate the energy in the particle cannon’s electromagnetic field, and the magnetic force it generates. It probably shouldn’t be too surprising to see that professors are gamers too, and PUBG, League, and Overwatch all qualify among the world’s most popular titles. If you’re a student, you probably shouldn’t be surprised if you run across a similar question in the future and find yourself listed in a jokey geek interest story on the internet.